Haaa-yaaa! Run for your life gingerbread men because the ninjas are in town. 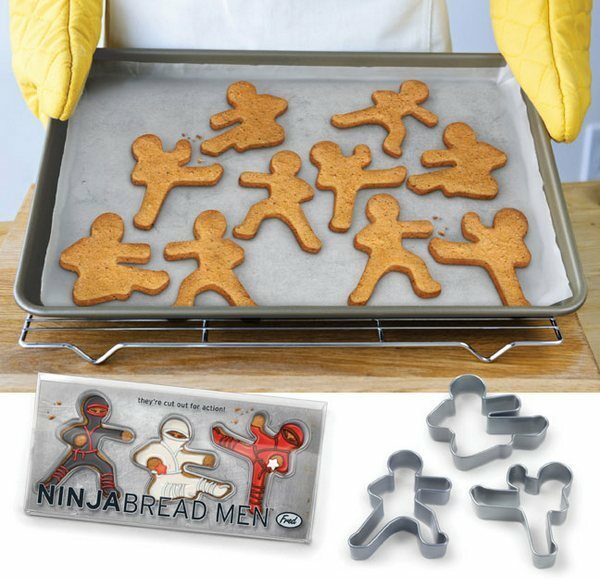 Ninjabread Men by Fred are cookie cutters designed for action. Cut, bake, decorate – we’ll be favouring coloured masks, a la Teenage Mutant Ninja Turtles. Moulded from food-safe ABS plastic, these little guys will have you pulling warrior-like moves in the kitchen. Ninjabread Men are US$7.99 and are available from Pop Deluxe. Although Pop Deluxe does not ship to Australia, they recommend the services of freight forwarder International Checkout.